This portable greenhouse will surely extend your plants growing season no matter where you live. It can be set up easily. Powder coated steel frame provide and middle rails provide additional stability for this greenhouse. Martial: BLACK PE, The cover is UV protected. What percent shade is it? It is around 80%. Easy to set up and portable. 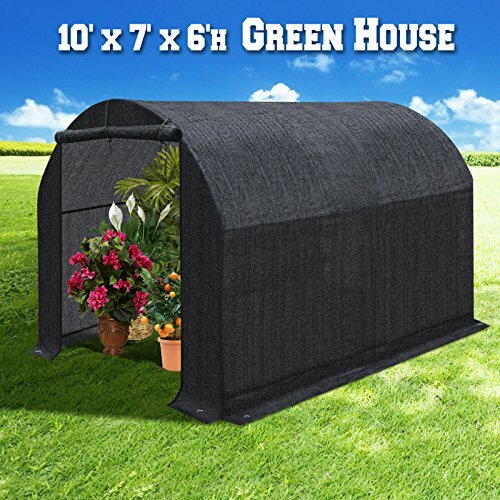 Finether 4-Tier Greenhouse with Clear Cover and Casters |Portable Garden House/Gargen House for Indoor Outdoor Herb Flower Garden Balcony,27"x19"x62"